Once bed bugs enter the home, it can seem nearly impossible to get rid of them. The survival tactics of bed bugs allow them to feed on human flesh undetected until days later, and the home could become infested by time they are noticed. 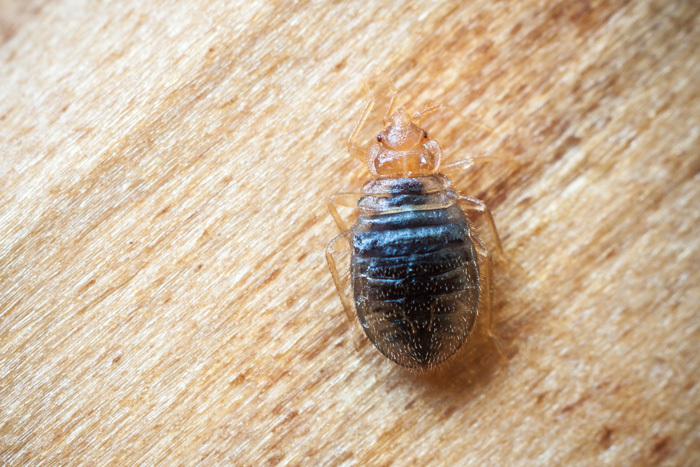 Bed bugs make themselves even harder to find by hiding in obscure places such as mattress seams, loose wallpaper, upholstery and in electrical switch plates. Fortunately, bed bugs do not carry diseases, but they can make a home uncomfortable and can migrate on the clothes of every house guest that visits. While extermination is possible, the best remedies for bed bugs are prevention. 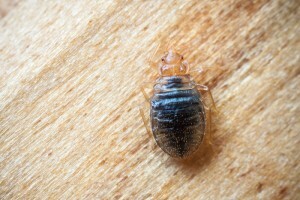 Utilize these methods to make sure you never have to experience a bed bug nightmare. Remove clutter from the home to eliminate hiding places for bedbugs. Use certified bed bug encasements on mattresses and box springs to prevent bed bugs from nesting there while you sleep. Wash clothes and bed clothing regularly and avoid leaving large amounts of clothes in hampers so there will be nowhere for bed bugs and their eggs to hide. Inspect second-hand furniture for bed bug infestation before purchasing, and regularly examine pet sleeping areas for indications of bed bugs. Offices can maintain high traffic from a variety of people, so make sure to clean all areas of the office daily to reduce bed bug trafficking. Thoroughly clean office lobbies, hallways, kitchens and public bathrooms daily, and give notice to every employee to keep an eye out for signs of bed bug infestation such as brownish or reddish spots in the upholstery. A large number of hotels and motels may carry bed bug infestations, and you could be their next ride into your home. Inspect mattresses, particularly at the corners for spots and stains and notify management immediately. Inspect the chairs and sofas before unpacking, and place your suitcase in a plastic trash bag during you stay. Choose an alternate room that is not adjacent or directly below or above the first room to prevent nearby bed bugs. Vacuum the suitcase and wash all clothes brought with you with warm water after your stay to destroy any eggs or stray bed bugs that may have accompanied you. Check your child’s backpack and clothes every day after returning home, and have them wash their school clothes in water immediately to kill any hitchhiking bed bugs. Teach your child if they’re old enough to be on the watch for any signs of bed bugs, and talk to school administrators if signs of a bed bug infestation is apparent. Close to half of the universities in the United States have reported bed bug infestations. Examine mattresses before placing sheets on the bed for any brownish or reddish spots, including the headboard. Be sure to inspect second-hand furniture for any bugs before potentially infecting your dorm room. When packing for the summer, be sure to wash any clothes in hot water to kill any bed bugs. Wash all clothes and bedding items before returning home for the summer to prevent bringing home any unwelcome guests to the family. When vacuuming in the office, home, and dorm room, carefully vacuum under bed frames, around bed legs and in each crack and crevice. Remove the vacuum bag after each use so that potential bed bugs can’t escape, and place the bag in a sealed plastic bag and place it in an outside garbage bin to be sure that no bed bugs ever come into the home.